I know, it is a little clumsy to start my blog with the sentence … I love rice! But this is true. Despite the fact that I am a Frenchy (with some Canadian influences now) and bread is my motto, my brother Jean Michel and me have grew up eating and enjoying one kind of rice: Le Riz Taureau Aile or more specifically the rice from Camargue (the south region of France). This rice is similar to the Italian Arborio rice. it is flavorful, creamy and sticky. It made the most amazing rice pudding, and it is the best side dish for our creamy sauces like the famous blanquette de veau (veal stew). If truth be told, our childhood culinary experience has left a indelible mark on us. We cannot stand bad quality rice at all! 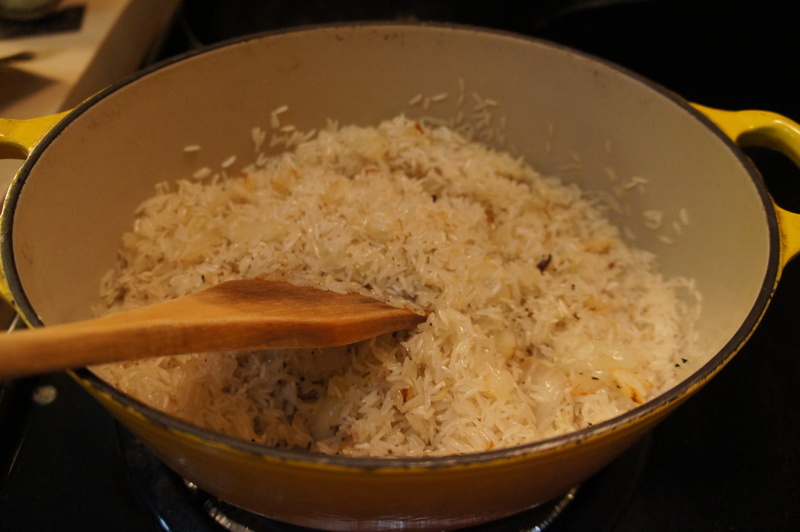 The result, I have a passion for rice… any kinds, and I love cooking dishes with it. In fact, my favorite comfort food when I am tired, a little depressed and I really need to reconnect with my childhood is a bowl of rice with butter. I love the taste of rice with butter… it reminds me my grandmother rice. Rice with beer, why not? 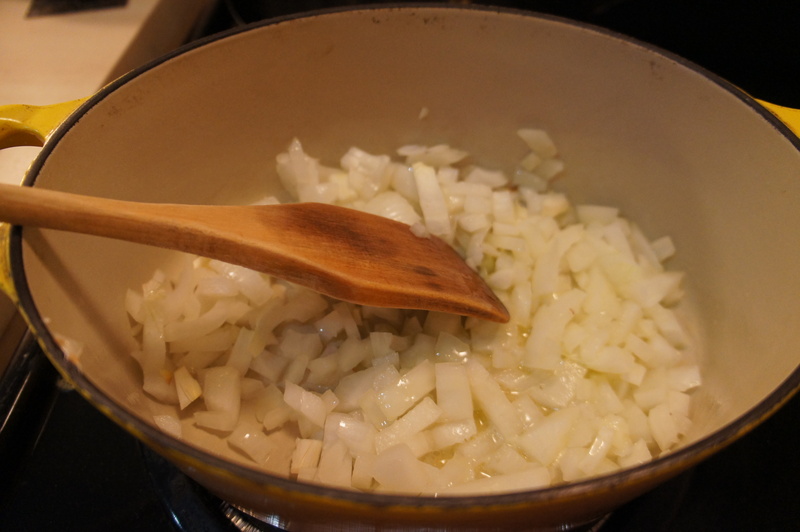 The idea came to me when I was reading a series of articles about the use of wine in French and Italian cooking. Generally, wine goes into stew and sauce (as well as dessert) in France. 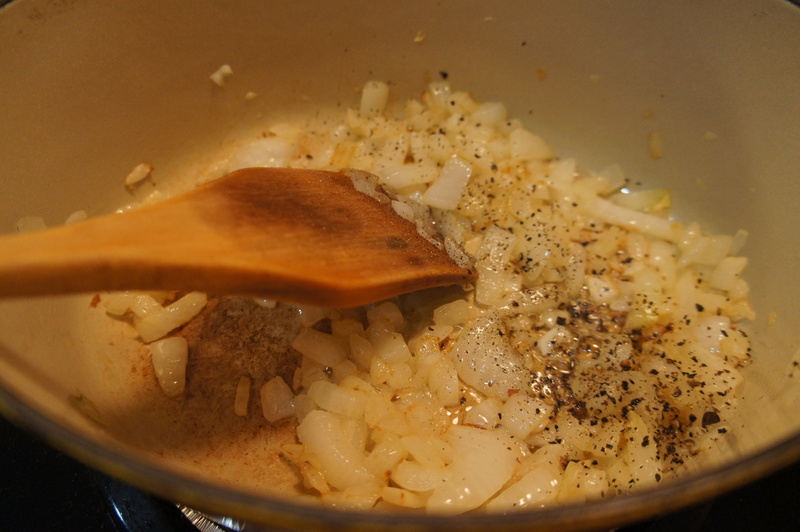 In Italy, wine is also used to bring flavors into pasta sauce and risotto. That was it! 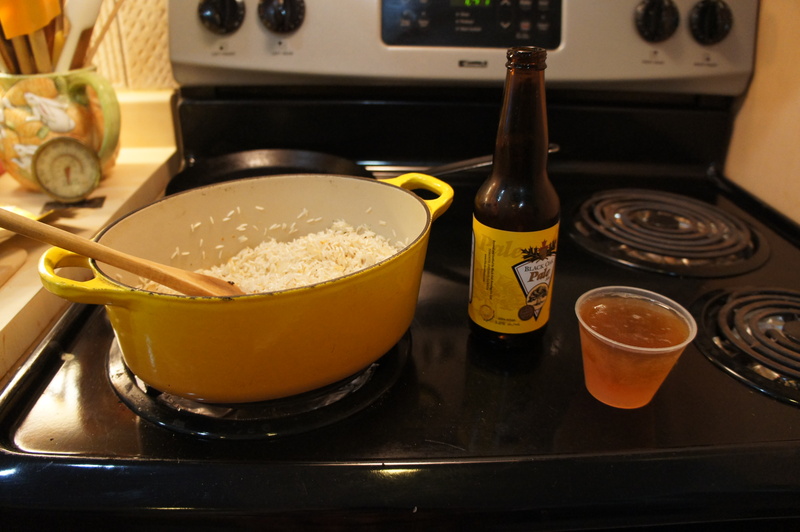 Italian cooking practices gave me the idea to try to infuse rice with beer. I could go with risotto, but I have decided to try rice pilaf for a change. It is a more easy going preparation and everyday dish. But don’t take me wrong, it can be complex and subtle and more importantly, yummy. When you start to read about rice pilaf, you are discovering that there is an interesting and opulent story behind this simple dish. It is an integral part of formal and informal meal in Asian and Middle East cuisine. Pilaf was known to have been served to Alexander the Great at a royal banquet following his capture of the Sogdian capital of Marakanda (modern Samarkand). And it was first documented by the celebrated Persian scholar Abu Ali Ibn Sina in tenth century, who in his books on medical sciences has dedicated a whole section to preparing various meals, including several types of pilaf. After that, it has spread all over the world and is nowadays an important component of our worldwide culinary practice. Pilaf is made of a good quality rice like Basmati or Jasmine rice, cooked in a broth seasoned with different ingredients like onion, tomatoes, ginger, garlic, coriander seeds, nuts, dry fruit, saffron as well as meat, fish, lentils, beans, pasta, vegetables… The grains remain separate and in some recipes, you can obtain a fluffy and soft rice, but neither soupy nor sticky. For this recipe I have chosen to use an American Pale Ale from Black oak. The taste of this beer is sweet initially with a lightly toasted cereal grain, more biscuit-like than bready as well as slight notes of tart citrus, pine, and herbal hops that can work quite well with sweet onion in this rice dish. Curry leaves are an herb native to South Asia, unrelated to the ground spice mix called curry powder. They’re an essential component of South Indian cooking, adding a subtle aroma to simple dishes or complexity to highly spicy dishes. 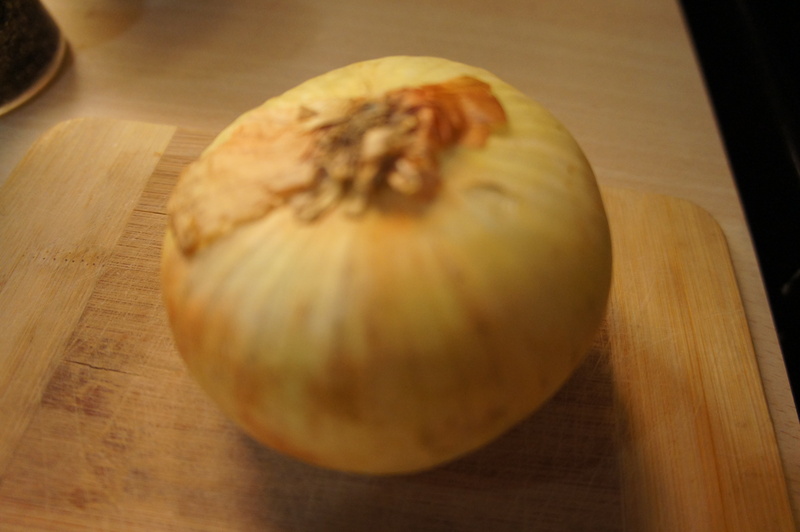 It has a peppery flavor and it releases a deliciously nutty aroma when fried in hot oil. Curry leaves can be used in the same way as bay leaves are used in the West. You can find them in Indian grocery shops. I am not doing this normally but I am going to do this next for maximum fragrances. 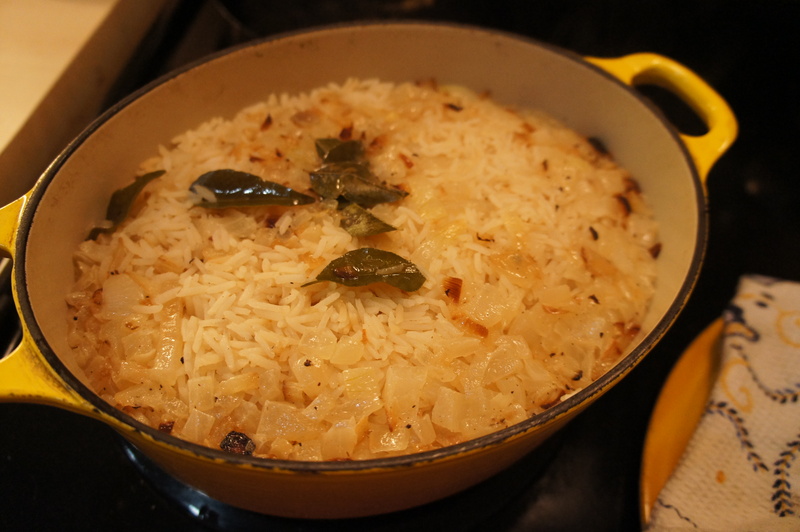 Normally, I add the curry leaves with the water when cooking rice. Season with salt (facultative) and pepper. Add the rice. Cook, stirring, until the grains are well-coated and some look translucent and the whole mixture smells toasty, about 3 minutes. Toasting the grains in oil until they start to look translucent helps them separate so they won’t clump. It adds flavor, too. Add the beer and the water and bring to a boil. 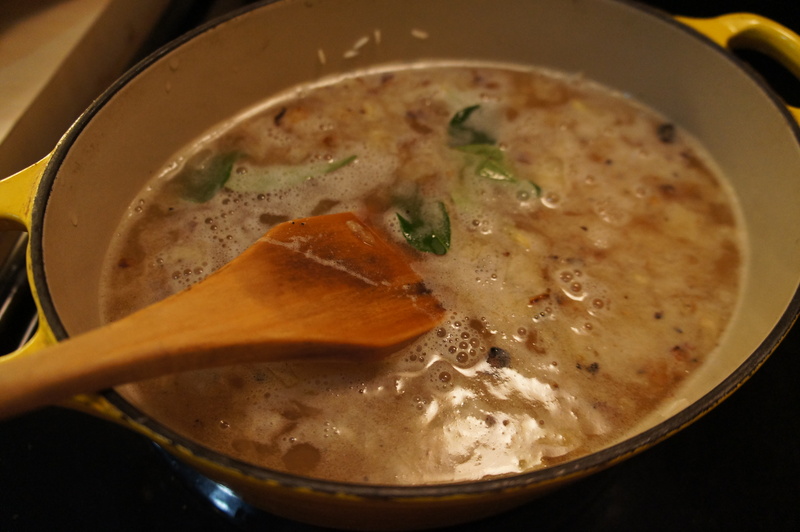 Cover and simmer for about 18 minutes or until the liquid is absorbed. 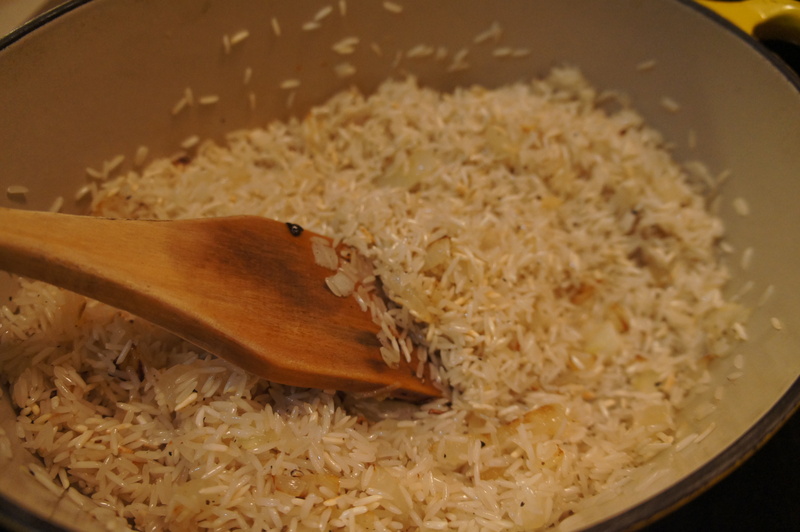 Remove from heat and fluff the rice with a fork. 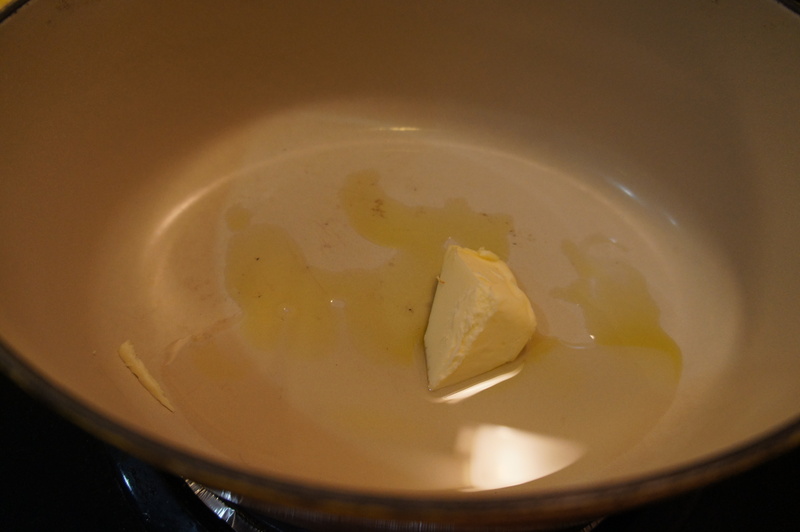 Then cover the pot with a clean dish towel and seal with the lid for 10 minutes. The towel absorbs steam, so the rice stays fluffy. I have served this rice pilaf with sauté spinach for our dinner. It was really good, very flavourful. I think it will work perfectly also with barbecue or sweet spicy tomato sauce because this rice pilaf has some tanginess flavors with some after taste bitterness. With the left over, I have made a tuna salad with parsley, tomatoes, cucumber and avocado. It was delicious!